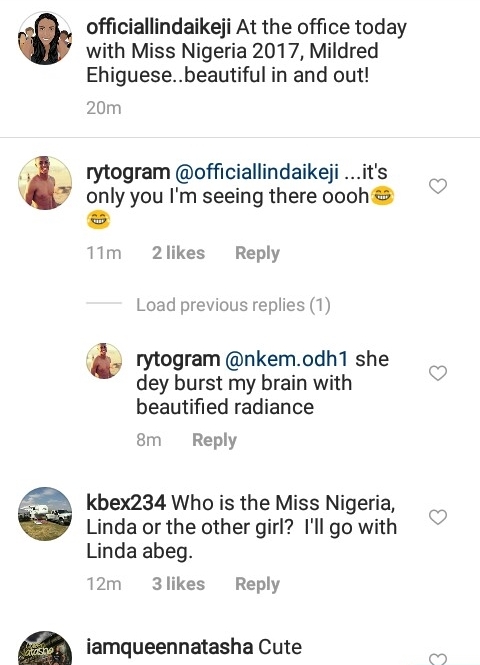 Miss Nigeria 2017, Mildred Ehiguese, who was crowned at the annual beauty pageant held at the Eko Hotel and Suites in December, has been trailed with mixed reactions after posing with popular blogger, Linda Ikeji. 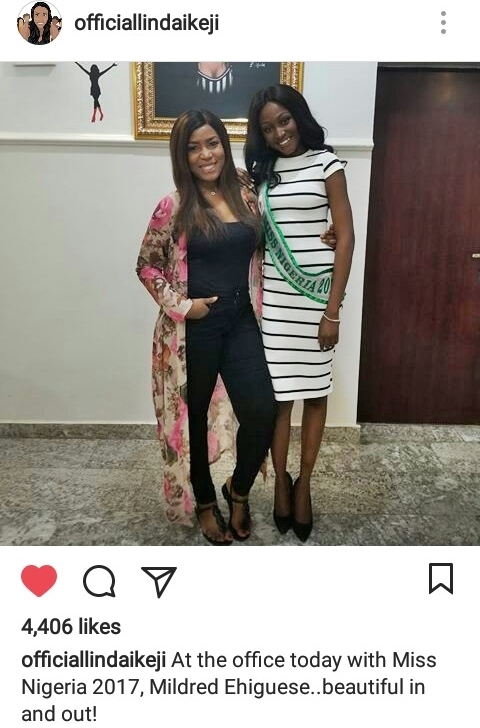 Self acclaimed richest and most famous Nigerian blogger, Linda Ikeji, on Monday, took to her Instagram page to post a picture where she posed alongside Miss Nigeria 2017, Mildred Ehiguese, who on December, emerged winner of the 2017 edition of Miss Nigeria beauty contest as she beat other 35 contestants to the crown, emerging the 41st Miss Nigeria. Linda who hosted the beauty queen at her office, captioned the photo: "At the office today with Miss Nigeria 2017, Mildred Ehiguese..beautiful in and out!." 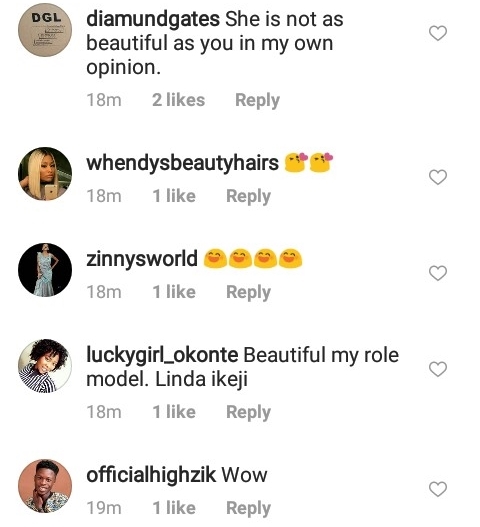 Fans of the blogger who was once a hot model in the city of Lagos, claimed that she was more beautiful that the Miss Nigeria, upon the fact that the blogger was almost twice her age.